The “Black Friday” protest opposing the hero’s burial of former President Ferdinand Marcos will proceed on November 25 at Rizal Park, with or without a permit, and 13 other different locations, anti-Marcos groups announced on Wednesday. 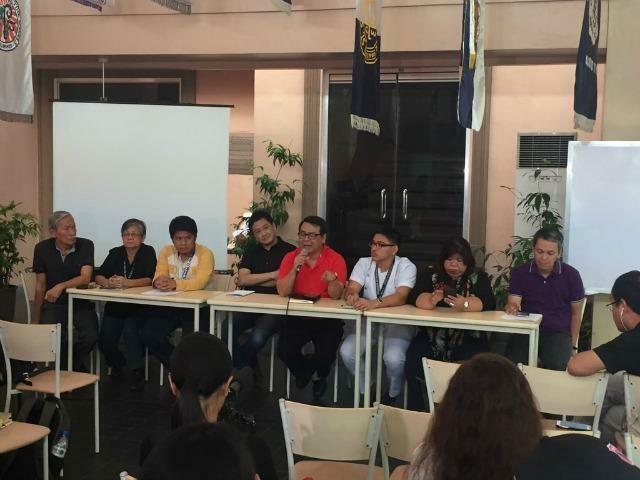 In a news conference, Bagong Alyansang Makabayan secretary general Renato Reyes said that aside from Rizal Park (Luneta) in Manila, mass protests are also scheduled in Isabela, Tarlac, Tuguegarao City, Iloilo City, Bicol, Cebu, Davao, University of the Philippines Los Baños campus, Calamba, Lucena City, Batangas City, and Antipolo City. Reyes said the mass action is a peaceful rally and a fitting welcome for President Rodrigo Durerte, who will return Wednesday night from Peru and New Zealand, in protest against the Marcos burial at the Libingan ng mga Bayani (LNMB). “Ito ay isang mapayapamg pagkilos para tutulan ang paglibing kay Marcos at panagutin ang Pangulo ng Pilipinas,” he said. “Sana makita at maunawaan niya kung saan nagmumula ang galit ng mamayan… Pakinggan niya ang totoong boses ng mamamayang Pilipino,” Reyes added. Reyes invited the public to wear black on Friday to oppose the interment of the former dictator at LNMB even if they are unable to join the rallies. Meanwhile, former Bayan Muna Rep. Neri Colmenares said the rally would still push through even if the Campaign Against the Return of the Marcoses to Malacañang fails to secure a permit to stage the protest action. “Ang freedom of expression, hindi mo puwedeng ma-curtail by just a permit,” Colmenares said. He hoped authorities would still allow the rally to be held and for its participants to air their grievances. “Dapat hayaan ng mga otoridad na maglabas ang taong bayan ng kanilang damdamin sa Luneta. I’m sure hindi nila haharangan ang magpahayag lalo pa at mapayapang protesta ito ng mamamayan,” Colmenares said. Reyes said the program for the rally is still being finalized, but the permit they applied for is for a protest action initially scheduled from 4 p.m. to 10 p.m. According to Reyes, the speakers for the program include former senators Rene Saguisag and Serge Osmeña, film director Joel Lamangan, and victims of Martial Law. Meanwhile, the National Capital Region Police Office is also preparing for the rallies and has been coordinating with their organizers for a more orderly protest. In a report from Jun Veneracion on 24 Oras, NCRPO Chief Supt. Oscar Albayalde said the police will exercise “maximum tolerance” as long as the rallies are peaceful. “With or without a permit, papayagan natin yung rally as long as it would be peaceful. We will exercise maximum tolerance,” he said.